Almond Milk vs. Regular Milk: Which Is Healthier? Milk and milk products have been an integral part of human diet. Traditionally, milk is associated with stronger bones and a healthy body. However, advent of substitutes such as almond milk makes for a compelling reason to revisit the health benefits of regular milk vis-à-vis its alternatives. Super markets are flooded with this new-found alternative that is often touted as being a healthier choice. There is no denying that almonds are a ‘superfood’ laden with nutrients that work like a magic wand on the human body. Is the almond milk equally rich in nutrients? 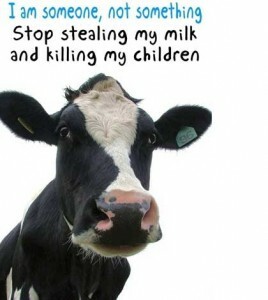 Can it work as a substitute to regular milk? It is best to find out answer to these questions before making the switch. This is essentially a combination of finely ground almonds with water after having drained off the residual particles of almonds. This mixture is a great source of nutrients while also serving as an effective alternative to cow’s milk especially for those who are allergic to casein or suffer from lactose intolerance. Regular Milk: Regular milk is rich in protein, with one cup containing at least 8 grams of protein. Consuming even half a liter of whole cow’s milk can cater to the body’s calcium requirement and also provides daily dose of Vitamin A and D. On the flip side, regular milk is rich in saturated fats. One serving of regular milk means consuming 146 calories and 24 mg cholesterol. 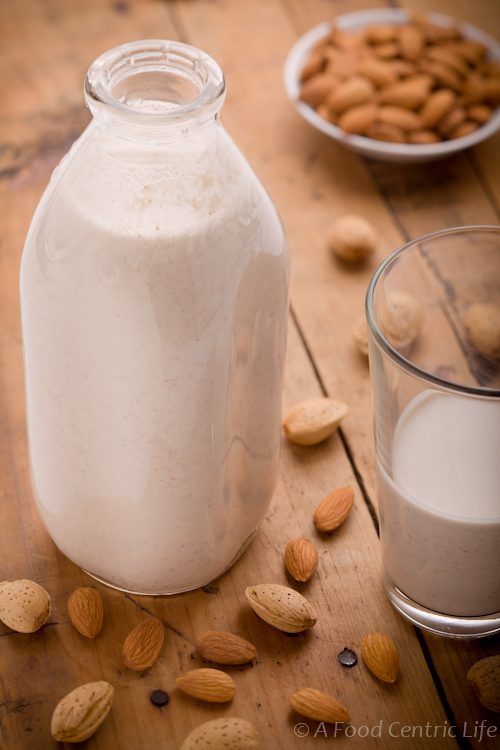 Almond Milk: Just like its core ingredient, almond milk is laden with nutrients and proves to be a one of the most beneficial substitutes to regular milk. 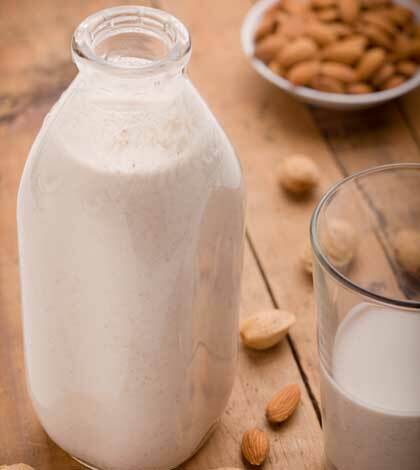 Daily consumption of almond milk supplies the body with nutrients like vitamin E, zinc, fiber, manganese, calcium, potassium, magnesium, iron, phosphorous, and selenium. While it’s encumbered in essential vitamins and mineral, almond milk is frugal on calories and fat. One serving of almond milk means an intake of 40 calories, which is in sharp contrast to whopping 146 calories from regular milk. While the nutritional values of almond milk and regular milk seem poles apart, a closer look reveals that some similarities between the two. A lowdown on these similarities and differences aids better understanding of why one is a healthier alternative to the other. Similarities: Though the source and basic components of almond and regular milk have nothing in common, the two bear some resemblance in terms of their constituents. Both regular and almond milks are free from any trans-fats and contain a comparable amount of Vitamin A (10%) and Vitamin D (25%). The other nutrients present in the two beverages are mutually exclusive. Differences: The basic and most striking difference between the two is the fat and calories content. When consumed in equal portions, regular milk provides 100 calories more than almond milk. Besides, regular milk is high on fat content but lags behind in terms of healthy mono unsaturated fats by at least a gram per serving. It also fails in comparison to almond milk vis-à-vis the concentration of minerals such a sodium and potassium. The regular milk, however, provides more carbohydrates and protein to the body. Regular milk seems to lag behind in terms of its nutritional value in comparison to almond milk. Regular consumption of almond milk supplies essential vitamins and minerals to the body, aiding its better functioning. Almond milk is rich in antioxidants that clears impurities from various systems of the body and reduces the risk of life-threatening diseases like cancer. Antioxidants are also known to slow down the process of aging and make your skin look radiant and youthful. Regular milk caters to only limited nutritional needs by providing calcium, protein and Vitamin A and D. Almond milk, on the other hand, provides for a broader spectrum of nutrients. Almond milk is the healthiest alternative to regular milk, and is easy to adapt to given its light, sweet and nutty flavor. It resembles the regular milk in terms of texture and appearance, and works wonderfully with your morning dose of coffee and cereal.